Image: Onsite stockpiles potentially contributing TSS to storm water. Unfortunately, total suspended solids (TSS) in storm water discharges come from everywhere on your industrial site. As we discussed in the last post, there are some pretty powerful regulatory and environmental drivers necessitating a good understanding of where TSS is coming from. In this blog, we look at the potential sources of TSS, which will shape how to best attack the problem and implement some best management practices (BMPs) in our third part of the series. 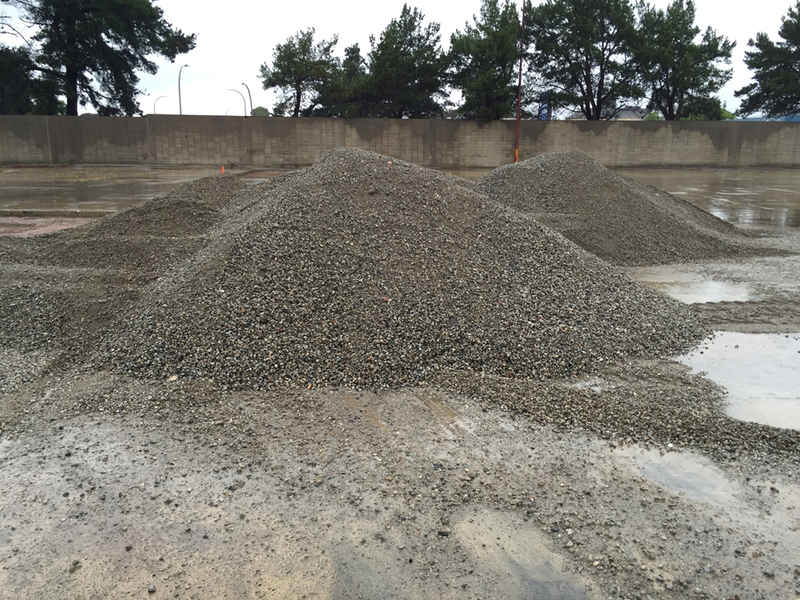 Sources of TSS can be track-on (hello, nearby construction site) or onsite stockpiles, if you are a building materials supply company or aggregate processing plan. 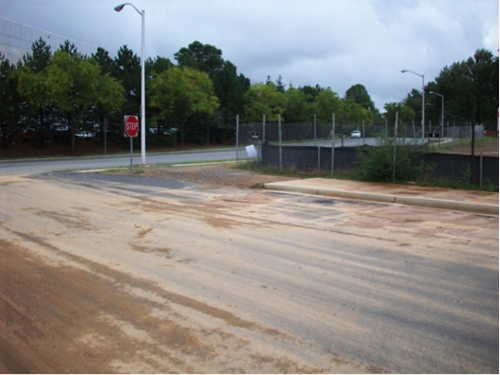 Unpaved sites, which means many industrial sites, are the worst for dealing with TSS. Not only are the solids from between the gravel yard getting washed into channels and drains as sheet flow, but the aggregates themselves are getting ground down and fine particulates are being generated. This makes unpaved dirt and gravel yards a perpetual source of TSS issues. However, sites that are paved, but have not maintained landscaped areas can be causing TSS issues from non-industrial areas. Because TSS doesn’t just mean dirt, elevated TSS concentrations in stormwater discharges can be caused by heavy truck and forklift traffic (e.g. brake dust and tire particulates) due to frequent turning and braking. 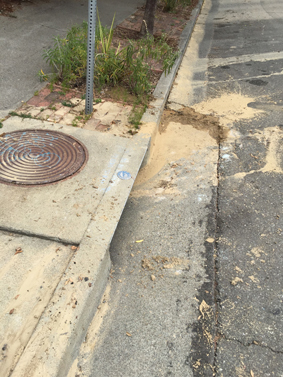 Also, for older sites, degraded pavement and concrete can slowly be ground up by vehicles causing particulates to wind up in storm drains. If your industrial facility is located near mining activities or a large construction site, aerial deposition of sediments can often occur. Some companies need to routinely wash their roof or install downspout filters to limit the amount of sediment being discharged during rain events. 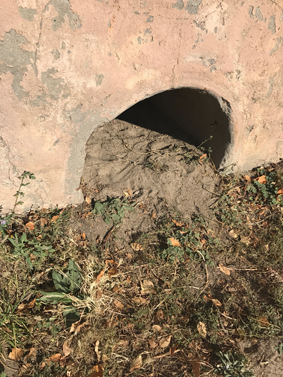 If you are new facility, and new can be a relative term for those businesses operating for a hundred plus years, to a location, it is possible that a previous tenant was discharging sediment into the below-grade stormwater system. 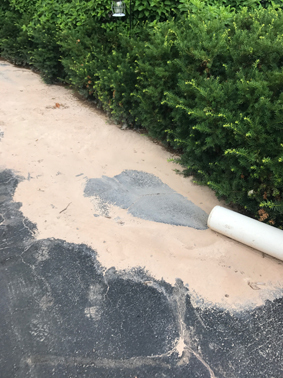 During storm events these historical sediment deposits can be re-suspended and discharged to your outfall, which could be then contributing to your elevated samples. The other potential culprit to TSS is your own industrial operations. For example, if you are a metal processing facility that does grinding or cutting, the metal particulates that hit the ground can be tracked by vehicles and on the soles of your employees’ boots outside of indoor areas. In addition, metal work done outside is already exposed to potential storm events without even needing to be carried there. If you remember from the last article, TSS analysis doesn’t care if the particulates are organic or inorganic, they all count towards the mass. Historical deposits in the stormwater system. Well, what can you do about TSS problems? That my friend is the topic for our next article on TSS BMPs (aka the solution to your TSS woes). From good housekeeping to structural BMPs, we are diving into what should be in your TSS toolbox.